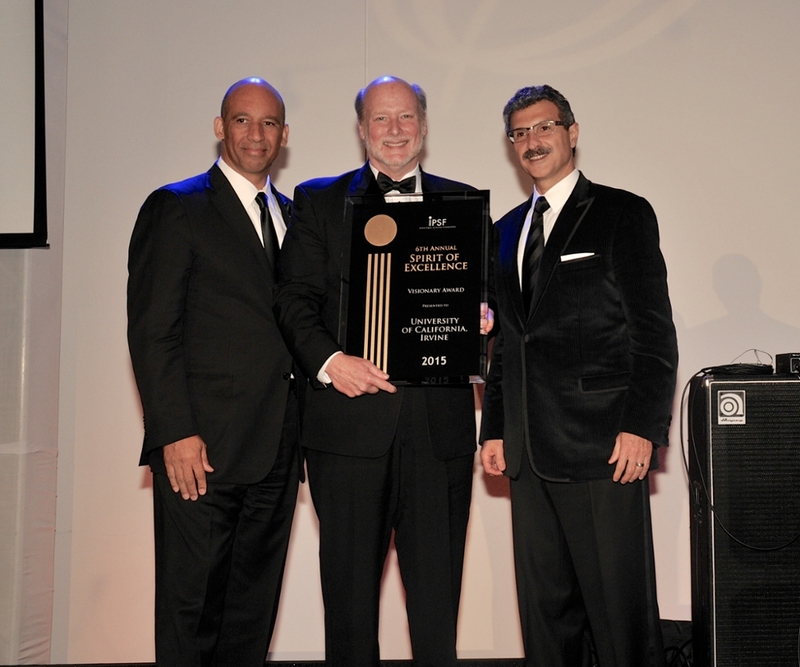 IPSF executive board member Joseph Lewis III, left, and UCI Foundation board chairman Emile Haddad, right, present Chancellor Howard Gillman with the Visionary Award. Chancellor Howard Gillman accepted the Visionary Award on behalf of UCI at the Irvine Public Schools Foundation awards celebration on Saturday, October 17. The Irvine Public Schools Foundation provides more than $4 million each year to Irvine’s public schools in support of educational programs that otherwise would go unfunded. UCI partners with the foundation on a number of these programs, including IPSF Day at UCI, the Summer Enrichment Academy, and the Academic Integrity Project.